SG consulting on Apprenticeship Levy: Tell SFHA how you would like the money spent! The Apprenticeship Levy, which will start in April 2017 for employers with a wage bill of over £3 million, will be collected through the PAYE system, and reallocated from the Westminster Government to the Scottish Government. The Scottish Government has had early talks with employers on how to spend the fund, and is now looking to refine these ideas through a consultation. “We welcome the chance to have our say on the best way to spend this money. “Housing Associations across Scotland see the value of modern apprenticeships, and we are pleased there is an opportunity to further fund and support access to employment and training for young people. 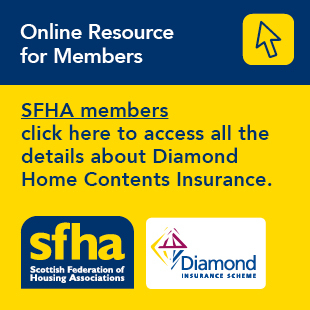 I hope our members take the chance to complete the very short survey, so we can go back to the Scottish Government with a firm view of what is best for our sector."